We are a fellowship of Christians who are called together to love and serve God, our community, and our world. We worship together on Sundays, and have various other special events, as well as small groups for study and ministry. Our building is 2 Mount Street, Digby, at the corner of Montague Row. 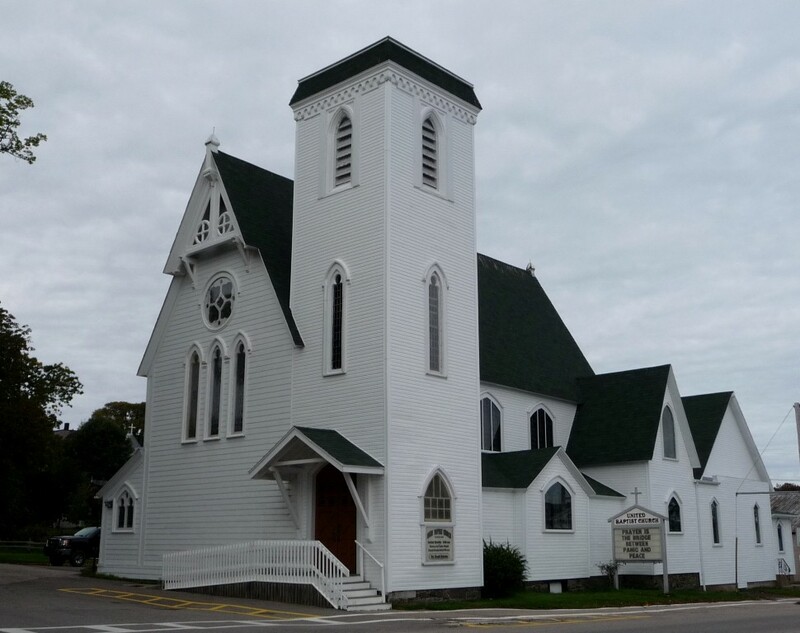 We were founded here in Digby, Nova Scotia, Canada, in 1839. We welcome you. Call us at 902-245-2113. 150 Vignette 3 from Jeff White on Vimeo. The Purpose of this Church as a part of the Body of Christ is to proclaim the Gospel of the Lord Jesus Christ, to cultivate the discipline of worship, to motivate men, women and children into active service for their Lord, and to be an instrument through which the Gospel may speak to all people in their individual and collective needs. To reach out to those in the church and community conveying the message of Jesus Christ through preaching and teaching with hearts of compassion and loving hands in service. To build our church based on the teachings of Christ and on the ideals of giving, living, and serving.